Reproduction: The average litter contains two to five cubs; they are completely dependent on their mothers for the first 18 months of their lives. Diet: Tigers are superb hunters that mainly go after deer, monkeys, wild boar, bison, and, occasionally, humans (the tiger has probably attacked and killed more people than any other wild mammal). Characteristics and Behavior: The tiger is the largest member of the feline family. Its stripes provide excellent camouflage and help make it an excellent hunter. Adult males can grow to up to 10 feet in length and can weigh more than 550 pounds; females are almost as large. Just as house cats do, tigers mark their territory with scent by rubbing and scratching trees and other landmarks. Tigers and jaguars are the only cats to excel at swimming. Habitat: The Middle East, most of sub-Saharan Africa, Asia Minor, India, Pakistan, China, Siberia, much of mainland Southeast Asia, and the islands of Java and Sri Lanka. Reproduction: There is no defined breeding season; females give birth every one to two years, rearing a litter of anywhere from one to six cubs. Diet: Opportunistic feeders, leopards hunt gazelles, deer, wild goats, pigs, domestic livestock, and monkeys. If necessary, they will also eat rabbits, birds, rodents, and even insects. 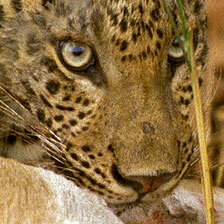 Characteristics and Behavior: The leopard’s spots are called rosettes. This cat is an immensely strong animal, with a powerful neck and jaw that enables it to scale the high branches of a tree while dragging a carcass, that may weigh more than itself, in its mouth. It is remarkably adaptable, surviving handily in forests, savannas, mountain heights, and woodlands. Reproduction: Males and females bond monogamously, sometimes permanently, and share the duties of raising their young. Each year, they have a litter with an average of two to four pups. Diet: Jackals are omnivores, and eat everything from fruits and vegetables to invertebrates, reptiles, birds, small mammals, carrion, and — near human habitation — garbage. Characteristics and Behavior: While it can thrive in many different habitats, the golden jackal seems to prefer dry landscapes and open country, including grassland steppes. Jackals are good hunters, especially when providing for their young. They will scavenge after a larger animal has made a kill, rushing in to eat any meat remaining, then heading back tot the den to regurgitate it for their pups. 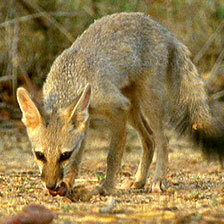 Reproduction: Bengal foxes are believed to form monogamous relationships and have litters of three to six kits. Sometimes, members of the previous litter will stay behind to help their parents raise the next one. Diet: They eat almost anything, but mainly ground-nesting birds, rodents, insects, and smaller mammals, as well as some plants and fruits. Characteristics and Behavior: By nature, Bengal foxes are daytime creatures, but they have been so aggressively hunted — partly for their flesh, which is thought by some to hold medicinal properties, but mainly for sport — that they have become nocturnal in areas inhabited by humans. 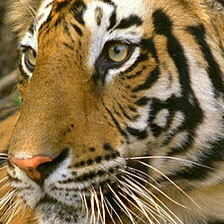 Habitat: Forested lowlands and foothills of India, Pakistan, and Sri Lanka. The peacock is the national bird of India. 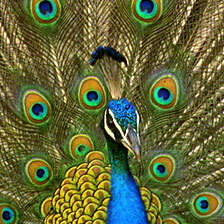 Reproduction: The peacock’s fanning display of his famously brilliant tail feathers helps him win a mate; the brighter his colors, the more likely he is to win the peahen of his choice. Each year, a peahen lays an average of four to six eggs. Diet: Peacocks feed on plants and small animals, such as mice, insects, and snakes, some of which may even be poisonous. Characteristics and Behavior: A peacock is the male member of the peafowl species; the females are known as peahens. The peacock is the largest member of the pheasant family. The male’s tail feathers grow up to several feet long and are shed every year after mating season; the female is much more drab in appearance. They are not powerful fliers, preferring to spend most of their time on the ground. 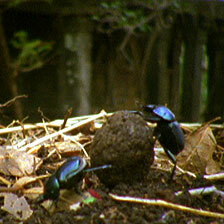 Reproduction: Female dung beetles lay their eggs directly into balls of dung, producing only one offspring at a time. Diet: They eat dung and lots of it, mostly excreted by plant-eating animals. Characteristics and Behavior: Dung beetles are very industrious insects, spending their days rolling dung into balls, then transporting the balls into a network of tunnels in which they live. In Bandhavgarh, dung beetles are an essential part of the overall forest ecology: monkeys eating in fig trees let their excretions drop to the forest floor, and the beetles cary it away. Fig seeds inside the monkey’s dung are rolled into the dung balls, which are germinated in new locations, thus helping to foster new generations of fig trees. 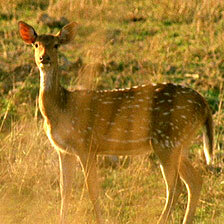 Reproduction: A chital gives birth to one fawn at a time, normally once a year but sometimes twice. Males stage battles over females by dueling with their antlers. Characteristics and Behavior: Unlike other deer that lose their antlers seasonally, male chital shed and re-grow their antlers throughout the year. Sometimes, chital can be found near troops of langurs, feeding on their discarded leaves. As a result, chital and langurs help one another avoid predators: langurs look out from above, while chital use their powerful sense of smell to detect danger on the ground. Each species has learned to heed the warning call of the other. Habitat: Mountain scrub and rainforests in Bangladesh, Bhutan, Burma, China, India, Nepal, Sri Lanka, and Pakistan. In addition, it is found near and within many urban areas of India. 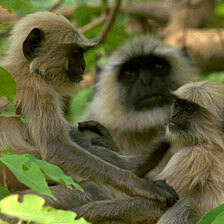 Reproduction: Like most primates, hanuman langurs give birth to one baby at a time. In Bandhavgarh, most infants are born during spring’s dry season. Diet: Vegetarians, they eat mostly leaves, as well as fruits and flowers. They are able to digest and even thrive on seeds that humans would find toxic, such as those containing a high level of strychnine. Characteristics and Behavior: The hanuman langur is considered sacred in India for its resemblance to Hanuman, the Hindu god of healing and worship. Because of this, hanuman langurs dwelling in urban areas receive handouts from humans, and their raids on cultivated crops are tolerated. Habitat: Owls make their homes everywhere in the globe except for in Antarctica. Reproduction: Owls mate in the spring, with females laying an average of three or four eggs. Only the largest and the strongest of the hatchlings will survive to adulthood. 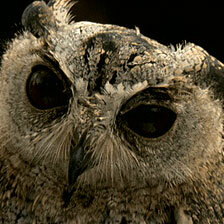 Diet: Owls eat small mammals such as rodents, birds, amphibians, insects, and birds. Characteristics and Behavior: Owls are superb nocturnal hunters whose incredibly powerful senses of hearing and sight guide them to carefully hidden prey, even in the dimmest of nights. Their specially arranged feathers allow them to swoop and glide nearly soundlessly, descending upon prey without warning. Owls are famous for their vision: unlike most other birds, their eyes are large (they can account for up to five percent of an owl’s total body weight) and face forward, held in place by bony structures called sclerotic rings. 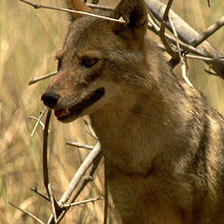 Habitat: Asia and South Asia; they prefer wooded areas for protection and feeding. Reproduction: Mating occurs in the fall, and a single fawn is born six months later. 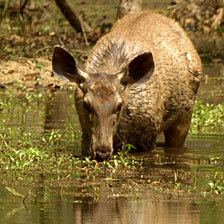 Diet: Sambar eat leaves, grasses, berries, and fruits; sambar can sometimes be spotted in the water, browsing for vegetation that grows on the bottom of lakes. Characteristics and Behavior: Sambar, the most common deer species in the world, are the largest deer found in India, sporting antlers up to three feet long; full-grown males stand up to 5 feet tall and can weigh 700 pounds. That’s a lot of meat, and sambar are definitely the favorite meal of the tigers of Bandhavgarh — tigers usually attack the largest available prey, since they usually only eat about 60 percent of their kills. Sambar feed mainly at night, sleeping during much of the day.